For many homeowners, hot water heaters are a bit of a mystery. They don’t require everyday hands-on operation and the sit in a closet or basement off in a corner. So, when they fail or become problematic, the average homeowner is in the dark as to the severity of the issue and the potential cost for water heater repair. What do you do if the water heater isn’t hot or won’t light? What if the water heater is leaking? So, let’s start with some basics and move on to common problems you may be presented with and what it really means. What is the average lifetime of a gas or electric water heater? Most manufacturers rate their water heaters’ service lifetime at between 8 and 12 years. However, regular maintenance and some repair can extend this lifetime. Repairs during this lifetime, such as replacing a pressure-relief valve or the heating element, are fairly straightforward and help maintain an optimum level of safety and performance as well as extending the serviceable life of the hot water heater. What is the difference between a gas and electric hot water heater? Approximately 60% of U.S. homes use gas-fired water heaters and 40% electric. The Department of Energy has stated that heating water is the second largest household expense. Gas water heaters use the heat generated from burning fuel, typically natural gas. Electric heaters use electric resistance coils similar in principle to electric stovetop coils. Electric hot water heaters are more energy efficient than gas, but the cost of electricity is higher than natural gas, so electric heaters are generally more expensive to operate. Gas heaters are more ideal for large families or for households with a lot of traffic because they have a much faster hot water recovery rate than electric heaters. If you have an electric heater and you are often running out of hot water, it may be that you are simply using the heated water faster than it can recover and/or your tank capacity is too small. My gas water heater isn’t making the water hot enough. What can I do? There are a range of possible solutions depending upon your particular situation. You may simply need to raise the temperature setting on your heater. However, read the rest of this answer first to ensure nothing critical is amiss. If you live in a cold area, you may need to insulate the hot water pipes so that they don’t lose heat on the way to your faucets. Make sure the pilot light is lit and also that the gas line is connected. If not, turn off the gas if it is still on! Then, cleaning the gas burner and replacing the thermocoupler (a device that shuts off the gas if the pilot flame goes out) is a prudent move. If you are not familiar or comfortable dealing with your heater, call Benjamin Franklin Plumbing in the Bay Area. A hot water heater can be dangerous if you don’t know how to troubleshoot it. We can quickly do a multiple point inspection and pinpoint the problem and offer you a range of solutions. It is always a good idea to do periodic tank flushes to eliminate sediment from the bottom of the tank. It not only improves the efficiency of your heater, it helps protect the tank from corrosion from the inside and extends the life of your unit. My gas water heater won’t light! If you can’t get your water heater to light or the pilot won’t stay lit, the problem is usually with what’s called a thermocoupler. This is a safety element that senses when the pilot light is on and controls the gas valve if the pilot light is off. The gas valve then shuts off, preventing gas leaking into the room and possibly causing a fire. When the thermocoupler is broken, the gas valve shuts off and you won’t be able to light the pilot and fire up the burner. If this is the case, and you haven’t replaced the thermocoupler recently, have it replaced it now. It is a quick fix if done by a professional plumber. They simply remove the burner assembly and remove and replace the thermocoupler. If this doesn’t resolve the issue, your plumber will likely have to replace the gas control valve. My gas water heater is leaking. What do I do? A leaking water heater is a safety red flag and needs to be resolved immediately by an experienced, trained and licensed plumber. It could mean repair and it could mean having to replace the entire heater. A Benjamin Franklin plumber can accurately assess the issue and advise you of your best and most cost-effective choices. The first step is to locate the source of the leak and also to turn off the power and water supply. 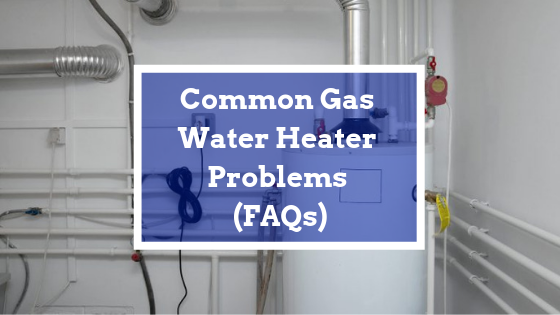 If the leak is coming from the cold water supply into the heater or the hot water outlet connections, the problem is not with the tank itself and the fix is usually to tighten connections. Pressure relief valve. Located on the outside of the tank with a pipe running down to the floor. Heater drain valve. Located near the bottom of the tank. Bottom of the tank. If a leak is showing here, the problem is internal and likely has to do with the tank itself. This usually means a full hot water heater replacement. If your hot water heater warrantee period has passed and you continue to have problems, Benjamin Franklin Plumbing can advise you on an excellent range of modern, high tech gas and electric water heaters you can replace it with. Water heating technology and safety continues to evolve, and your next heater will likely operate more cost efficiently and with up to date safety standards, be better scaled to your needs (if you inherited the one you now have when you bought your house) and be a better value for your money.